Today I’m sharing a beautiful reader featured project! 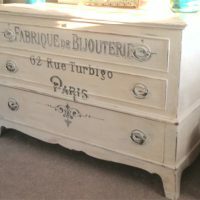 This gorgeous Mod Podge Transfer Pot with French Typography was shared on Brag Monday by Dawn from Lily Pink Scraps. 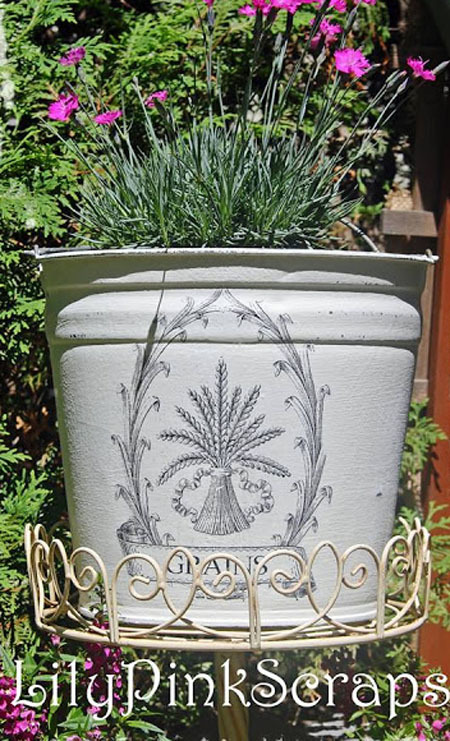 Dawn used one of my French Typography Printable Image Transfers, French Grain Sack – Wheat, and the Mod Podge Transfer method to transform this painted flower pot into a true show piece! I think it it is stunning, and would be proud to display it in my own garden! 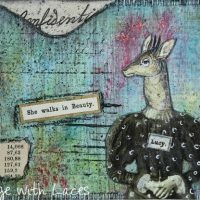 You can visit Dawn at her amazing blog, Lily Pink Scraps, HERE, to find the full tutorial! You’re welcome Dawn! I just loved your planter!! Thanks for submitting such a great project! 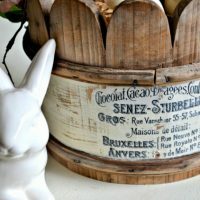 I love this project and am going to do it on the weekend! Thank you Karen and Dawn! Wendy, this is a great weekend project!! I’m so glad Dawn inspired you! !